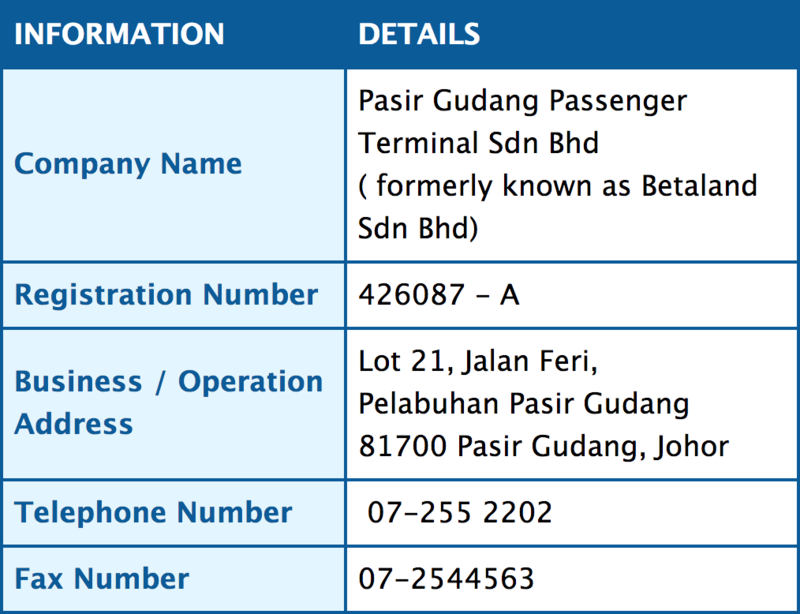 Pasir Gudang Passenger Terminal started its operation on 5 December 2001 at Plot No. 21, Phase 4, Jalan Feri Pelabuhan Johor, Pasir Gudang, Johor. Geographically, the property lies approximately 38.0 kilometers east of Johor Bahru City Centre. Pasir Gudang comprises an industrial area inclusive of Johor Port, Pasir Gudang town centre, a motor racing circuit, Hotel Selesa and an indoor stadium. Other well-established housing estates in the vicinity include Taman Air Biru, Taman Mawar, Taman Dahlia, Taman Pasir Putih and Tanjong Puteri Resort. The major factories within the vicinity of the subject property are Evergreen Heavy Industrial Corporation, Caltex Oil, Industrial Resins, Tenggara Cement, ICI Agriculture, Kedah Cement and Southern Cement. 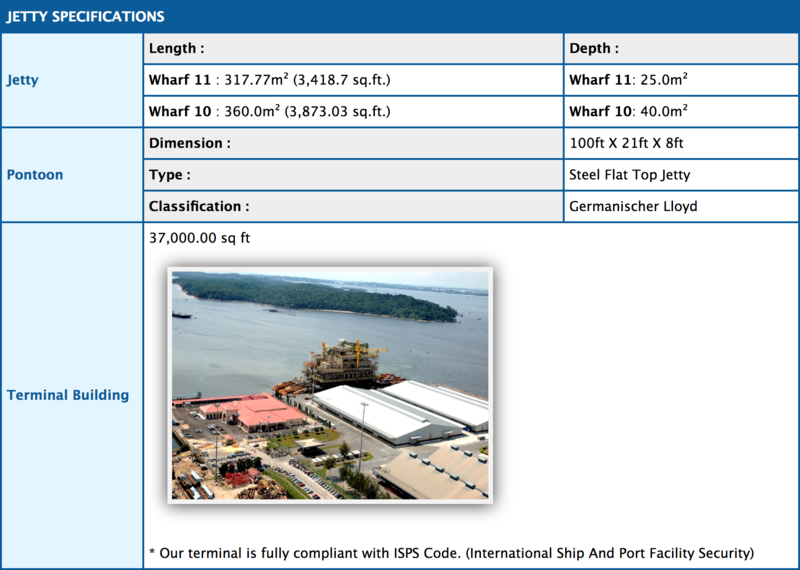 *26 nautical miles with the approximate travelling time time 1 hour 15 minutes from Pasir Gudang to Batam Centre. The site comprises a parcel of rectangular-shaped lot with a land area of about 14,143.30 square metres (152,242.2 square feet). The land enjoys frontage of about 118.87 metres (390.00 feet) onto Jalan Feri and an average plot depth of about 118.87 metres (390 feet).